*Martin Luther, Luther’s Works, Vol. 41: Church and Ministry III, ed. Jaroslav Jan Pelikan, Hilton C. Oswald, and Helmut T. Lehmann, vol. 41 (Philadelphia: Fortress Press, 1999), 187. 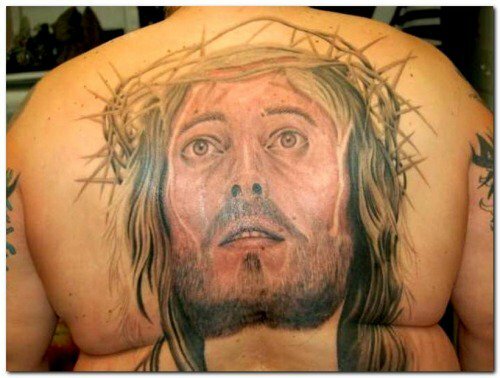 I had no idea he was a Russell Brand fan. In a joyful ceremony, Christian leaders gathered to grant Jordan Peterson the status of honorary Christian. Though the Canadian professor has never identified as a Christian and does not attend any church, a vote was taken and the decision was made unanimously that Peterson had earned his salvation and could be drafted into heaven by popular vote. Peterson was given a medallion as one of the coordinating pastors led a prayer asking that God grant Peterson salvation through the prayers of those present, whether or not Peterson himself had actually accepted Christ or believed in God. “What do you mean by God?” Peterson asked in the middle of the prayer. “It’s an attempt to box me in, man. I don’t like that.” Peterson’s comments went unaddressed as the prayer continued for his honorary redemption. “Well that’s a thing to pray,” Peterson said. Still he was ignored. Many went forward to cite the reasons they believed Peterson deserved to be made an honorary Christian. “He’s read and studied more of the Bible than 90% of actual believers,” said one speaker. “He’s given numerous lectures that are straight out of Scripture,” said another, citing the fact that many pastors can’t even pull that off. A number of male youth pastors said they particularly liked that he advocated forcing single women to marry undesirable men, but then were corrected by Peterson himself. “I never said that, man. Get your facts straight.” Other reasons given were that he only uses PG swears, he eats a lot of bacon, and he has “triggered more snowflakes” and been called a far-right Christian hatemonger more times than most Christians will in several lifetimes. When asked how Peterson felt about being the first man in history to receive salvation against his will he replied with a long, tortured silence. “That’s a big question, man. It could take years to unpack that,” he finally replied. At publishing time, Peterson still had not responded. Scathing. And right on the money. Christian sycophants of Peterson are acting like pagans. And all she did was ‘pray for his demon to leave him’. So she was arrested too. As she should have been. Here’s just one example of it. Die geregelte Armenfürsorge in Zürich geht auf Huldrych Zwingli zurück. In Zwinglis Almosenordnung heisst es: «Als erste Massnahme, um die armen Leute von der Gasse wegzubringen, ist als Anfang vorgesehen, dass jeden Tag im Dominikanerkloster … Mus und Brot verteilt [werden soll].» Das Café Yucca ist ein Schauplatz dieses Denkens im heutigen Zürich. Es ist ein unscheinbarer Ort in einer unscheinbaren Gasse im Zürcher Niederdorf, zwischen Take Aways, Kleiderläden und noblen Cafés. Ein dezentes Leuchtschild weist auf den Namen: Café Yucca, Zürcher Stadtmission. Man könnte ungeachtet dessen, was dieser Ort für eine Geschichte, was er für eine Bedeutung hat für Menschen mit brüchigen Biografien und schwierigen Realitäten, daran vorbeischreiten, zum Seilergraben rauf, oder runter an die Zähringerstrasse. Man kann aber auch die Glastür aufstossen, am Mittag, am Abend, montags bis sonntags, sich von den Gastgebern mit einem Sali und von den Gästen eventuell mit einem Kopfnicken begrüssen lassen. Das Café Yucca ist an die beliebte Wohnzimmer-Palme angelehnt, aber leitet sich auch von Juca ab. Jugendcafé hiess es in früheren Tagen. Gegründet als Reaktion auf die 68er, in der «Zeit der Halbstarken und Rocker», wie es auf der Website der Stadtmission Zürich heisst, entwickelte sich das Yucca zu einem Treffpunkt für sozial benachteiligte Menschen. Ein paar wenige Jugendliche, die damals das Juca aufsuchten, sind auch heute noch Gäste. Am Mittag ist die Suppe gratis, abends nach 21 Uhr ebenfalls, Konsumationspflicht herrscht keine. The call and all the details are here. On 17 July, 1532 Heinrich Bullinger gave a speech to the Zurich city council concerning recent events in Baden (on 9-10 July of that same year) where the cantons had discussed entering into an alliance with Charles V and Francis I against the Turkish threat. 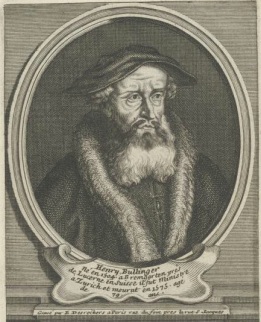 Bullinger, on behalf of the Zurich Clergy. Bullinger reminds them of various connivings of those two monarchs and the disastrous results of Swiss involvement in previous wars involving the French and the Holy Roman Empire, including the battle which moved Zwingli to object to all such military entanglements with foreign lords- Marignano in 1515. Unfortuntely theologians today are too occupied with appearances on tv mockumentaries to send such notices to governments. If they did, well maybe the world would be different. One thing is for sure, they wouldn’t be so disdained by society for their acceptance of the status quo. Die Schweizer Reformatoren Ulrich Zwingli und Johannes Calvin seien weniger aggressiv gegenüber Juden gewesen als der deutsche Reformator Martin Luther. Dies teilte Serge Fornerod, Projektleiter Reformationsjubiläum 2017 beim Schweizerischen Evangelischen Kirchenbund (SEK), auf Anfrage von kath.ch mit. Hintergrund ist eine Diskussion in der Evangelischen Kirche Deutschland (EKD) über eine Einbindung von Vertretern des Judentums in das Reformationsgedenken, weil Luther sich sehr verletzend über das Judentum geäussert haben soll. Laut einem Lexikonartikel über Zwinglis Haltung gegenüber dem Judentum auf der Homepage der reformierten Kirche des Kantons Zürich ging Luther «offenbar ganz traditionell davon aus, dass die Kirche das Judentum als auserwähltes Volk ersetzt habe.» Zwingli sei dieser Tradition nicht gefolgt. It’s a better essay than most on the subject. Give it a read.